The Federation of Small Businesses issued an interesting study on cost of cybercrime suffered by small businesses in the UK. Cost of cybercrime is usually evaluated for large corporate underestimating its dramatic effect on small business, small companies are in fact most vulnerable to the increasing cyber criminals and hacktivists. An interesting study conducted by the Federation of Small Businesses on cost of cybercrime in UK revealed the incidence of the phenomena on the small business, worrying losses for billions of pounds every year, the average small firm facing a near £4,000 cost. 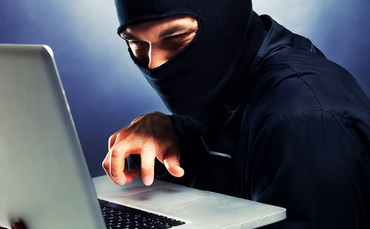 The Federation of Small Businesses declared that around 30% of its members had been victims of fraud, majority of crimes is related to virus infections, more than 50% of small business was hit by a malware, 8% of UK small business had been victims of hacking and around 5% had suffered security breaches. The report of the Federation of Small Businesses revealed that cost of cybercrime and fraud for its 200,000 members is around £800m a year, (£3,926 each on average), but according the analysts the total cost is much bigger for total UK small business. According the FSB estimation, by projecting the data related to the small business on a national scale the cost of cybercrime is greater than £18.8bn based on the FSB’s average. In the UK there are around 4.8 million small firms and despite the impact of cybercrime and the high frequency of malicious events almost 20% had taken no countermeasure to mitigate the cyber threats..
“Many businesses will be taking steps to protect themselves but the cost of crime can act as a barrier to growth”. “While we want to see clear action from the government and the wider public sector, there are clear actions that businesses can take to help themselves.”said Mike Cherry, the FSB’s national policy chairman, referring the effect of cybercrime on UK businesses. The scenario is alarming, on one side the activities of cybercrime are becoming even more sophisticated and pounding, on the other side the response of Small business is still inappropriate with obvious repercussion, due this reason the FSB issued new advice to small firms encouraging the implementation of the security mechanisms and the adoption of best practices. The FSB issued 10 tips to suggest businesses how to protect their assets from cybercrime, including a combination of standard security protection steps (e.g. Define and constantly update security policy, keep systems updated, protect networks with firewall, use and update antivirus and anti-spam software). Security is a must for the growth of the entire United Kingdom, security minister James Brokenshire commented the results proposed by the study spurring the action and in the adoption of a proactive approach to cybercrime. “We know only too well of the importance of securing buy-in from both big and small business in implementing appropriate protection against cyber risks – business success can depend on it. Increasing security drives growth.” said Business minister David Willets added. To limit the impact of cybercrime and reduce the cost of cybercrime another fundamental issue is the information sharing on cyber attacks, incidents and data breaches, the Government issued The Data Protection Bill will force companies to denounce every incidents and data breaches. Despite the Act there is still much to do, the strong support of the Government and principal enterprises is an essential factor to support the growth of a security culture that could help to reduce the effect of cybercrime.